Is Cold Weather Hurting Your Teeth? Is the cold wintry air making your teeth hurt? If so, this may be a sign of worn tooth enamel. Tooth enamel is what protects the inner layer of your teeth (dentin). However, when the enamel wears away, there is nothing to guard your teeth from hot and cold temperatures. This is why you may experience a twinge of pain when your teeth are exposed to cold air or when sipping a steaming cup of hot chocolate. If you are experiencing tooth sensitivity that lasts more than a day or two, our Grand Rapids dentist at NorthPointe Family Dental recommends scheduling an appointment with your family dentist. It’s not uncommon for more patients to report tooth sensitivity during the winter months. However, this doesn’t mean that you should ignore painful teeth. Pain is your body’s way of telling you when something is wrong. If you experience tooth sensitivity that lasts for more than a couple of days, you’ll want to schedule a dentist appointment with your dentist as soon as possible. The longer you put off getting seen by a dentist, the more time you potentially give gum disease and cavities to worsen. Tooth sensitivity could be a sign of a larger problem. For example, one of the first symptoms of gum disease is sensitive teeth due to receding gums. 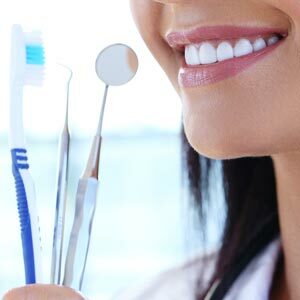 Thankfully, gingivitis can usually be reversed with a professional teeth cleaning and educating the patient about the proper way to brush and floss teeth. The same can’t be said of periodontitis, which is advanced gum disease. Tooth sensitivity can also be caused by a cracked tooth, tooth decay, and more. The sooner you schedule an appointment with your dentist, the sooner you can discover what’s causing your tooth sensitivity. While your dentist may just recommend a few changes to your oral hygiene routine, they could just as easily need to drill out tooth decay and place a filling. To maintain a beautiful healthy smile, you’ll want to call your dentist’s office as soon as you notice tooth sensitivity to cold. Dental pain or discomfort should never be ignored, especially when a simple change may be all that’s needed to treat tooth sensitivity. For example, many patients experience tooth sensitivity after eating too many sweets, which increases the amount of plaque on their teeth. Having your teeth cleaned by a professional can remove dental plaque so you don’t continue to experience tooth sensitivity. If the problem is more serious, your dentist will be able to detect the signs of gum disease or tooth decay so you can get treatment as soon as possible. The Grand Rapids family dentists at NorthPointe Family Dental are dedicated to making sure you maintain healthy teeth and gums. If you are interested in scheduling a professional teeth cleaning or dental exam, call our dentist in Grand Rapids, MI at (616) 288-6134.